Kathy MacMillan weaves a spellbinding tale of a young woman's journey of discovery and struggle to overcome insurmountable odds in her new YA release of Sword and Verse! Captured and forced into slavery as a child, Raisa, spends her days clinging to rafters and helping the younger slaves when she can. Until one day when she is selected to replace the royal tutor who was executed for treason, and learn the language of the Gods. Now, studying alongside the young Prince Mati in order to one day teach his son, Raisa must be on guard so that she doesn't end up like the last tutor. But this is also her chance to finally decipher her heart-verse, the only link she has to her past and her father, one of the Learned One's. It's not long before she begins to fall for the tender hearted prince though, and the weight of her secrets begin to eat at her. When the Resistance approaches her to help liberate her fellow Arnathims, she finds herself caught between her blossoming love of Mati and saving her own people, even if that means putting Mati in danger. With a war between Qilarite and Arnathim brewing, Raisa must make a decision...a decision that could ultimately change the fate of the world as she knows it. Sword and Verse had a really intriguing story-line full of fantasy and mythology. The world surrounding these characters was vivid and well-built, reminiscent of ancient Egypt. 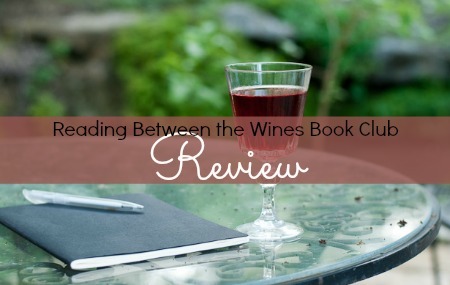 The plot moved slowly at different intervals in the story, despite it being a quick read. One of the aspects that contributed to the dragging pace was the hard-to-understand terminology. I would have preferred a more in-depth key at the front of the book; one that included, not only the God and Goddess information, but also the definitions of weeks, months, ect. It was difficult to keep up with the time line because of this. I enjoyed all of the characters in the story, from the most innocent to the most vile. Prince Mati was my favorite and I wish some of the story could have been told from his perspective. I often found myself empathizing with his position and responsibilities. However, it was Raisa's point-of-view that the tale was given. Raisa, who though had a good heart, was young and naive - frustratingly so at times. She didn't always think through her actions and the consequences didn't take long to catch up with her. Which is fine if she was the only one to suffer, but she also brought Mati down with her when this happened. All in all, a good story and I enjoyed that it was a stand-alone with no cliffhangers. And though this is a complete story in itself, there will be a sequel featuring a secondary character. I have a feeling it might be about a certain Resistance member, and I am interested in reading that. 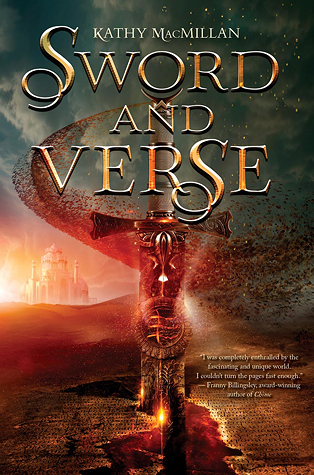 If you're a fan of mythology featuring vengeful Gods, unknown heroes, and a smattering of angst, action and amour, then I would recommend that you pick up Sword and Verse. Fantasy and mythology is a good combo. This sounds interesting...nice review. Lexi H said...Fantasy and mythology is a good combo. This sounds interesting...nice review.